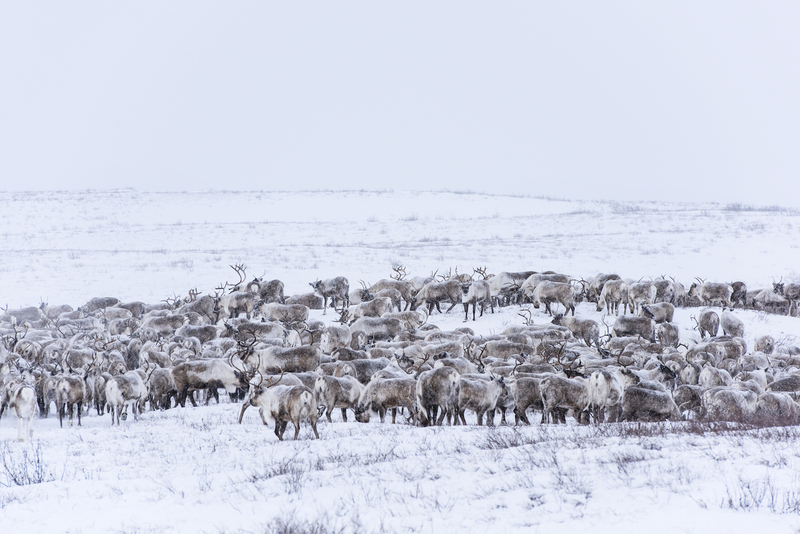 A migrating herd of reindeer- image courtesy of Jason van Bruggen. A herd of migrating reindeer- image courtesy of Jason van Bruggen. Watch a wildlife phenomenon like no other as the Canadian reindeer migrate. 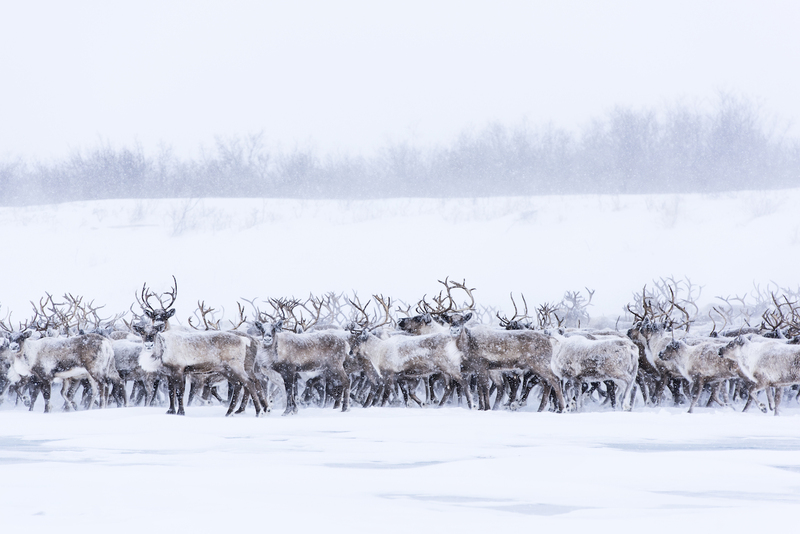 Like a vast recruitment drive for open spots on Santa’s sleigh team, every spring a seemingly endless – and reasonably orderly – column of reindeer lines up to cross the slippery Mackenzie River Ice Road. It seems like the world’s biggest (and fastest) mass migration, but just what is going on here? Well, it’s not exactly a natural phenomenon. 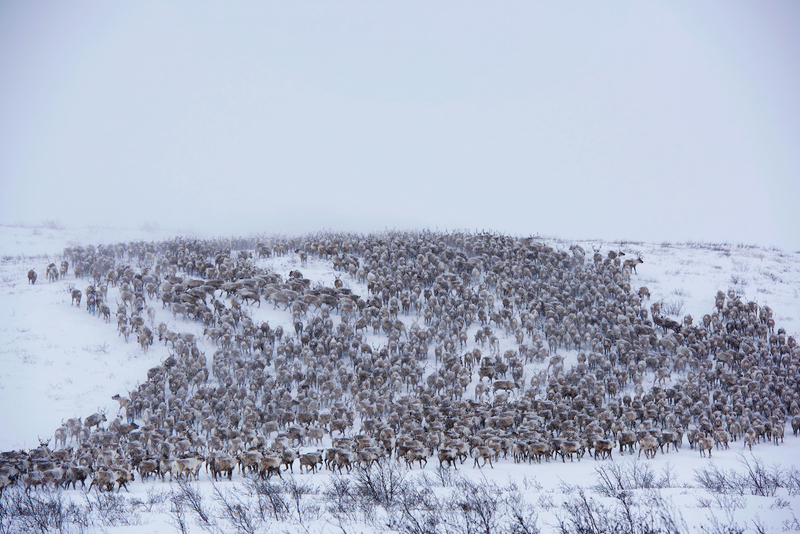 The 3000-strong herd was, yes, “herded” to the Inuvik region in 1935 all the way from Alaska to prop up the local Inuvialuit diet during a caribou shortage. 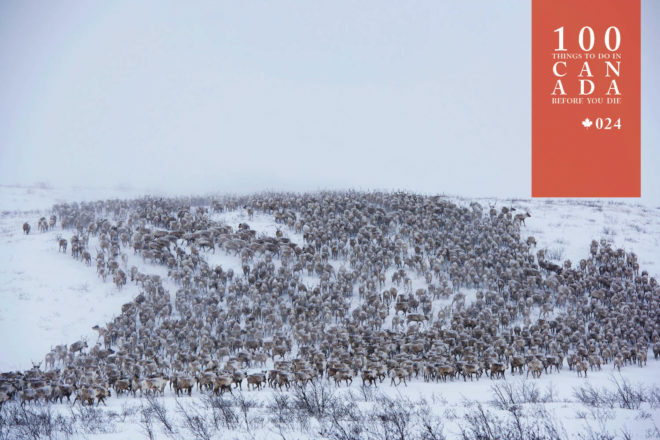 That initial 2400-kilometre trek took five years to complete, and roughly 1000 reindeer didn’t make it. But today their lesser trek from a reindeer station just north of Inuvik to tiny Richards Island is about 80 kilometres. Because those islands are the reindeers’ natural calving grounds. Because there are thousands of reindeer slipping and sliding across the ice! Watch the reindeer cross near Inuvik at the beginning of April each year. For details visit destinationinuvik.com. Inuvik is on the east channel of the Mackenzie Delta. Regular flights are also available from Vancouver, Kelowna, Whitehorse, Dawson City, Edmonton, Yellow Knife and Norman Wells.